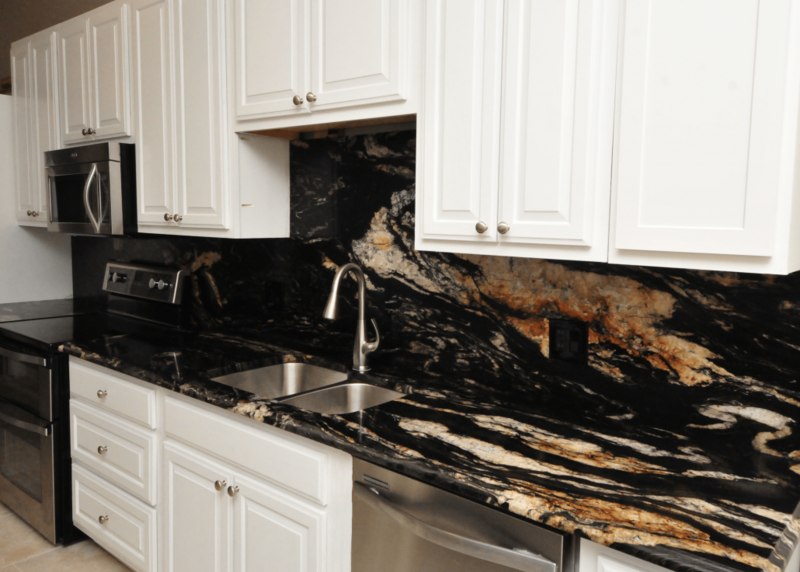 The full-height granite backsplash will certainly add a wow factor to your kitchen. 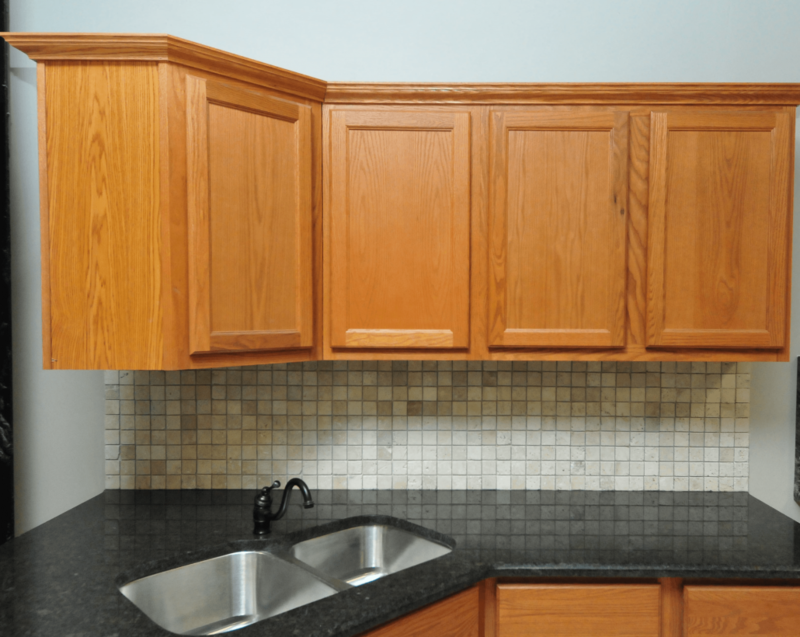 Since backsplash is vertical, as opposed to countertops being horizontal, your full height backsplash will display the characteristics of your stone best. 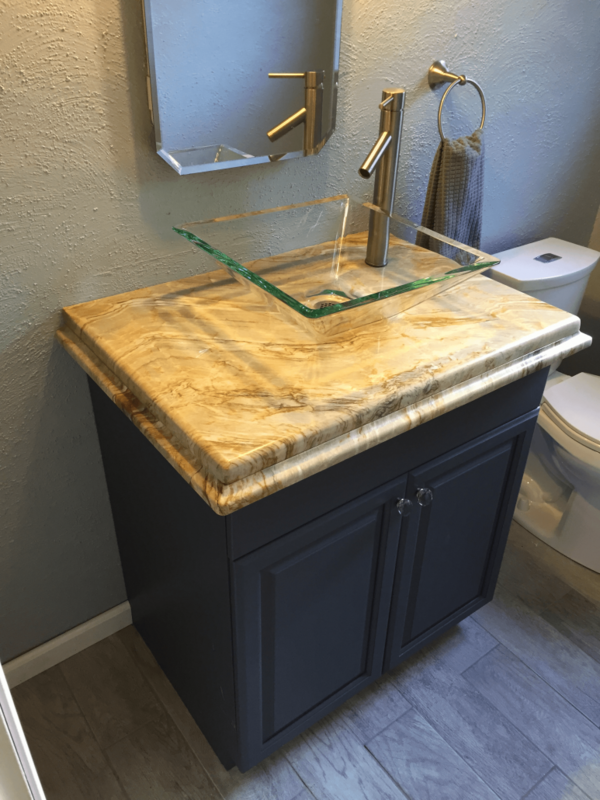 The horizontal countertop is noticed but when you turn the stone vertical you can see all the movement and color variations it has to offer. 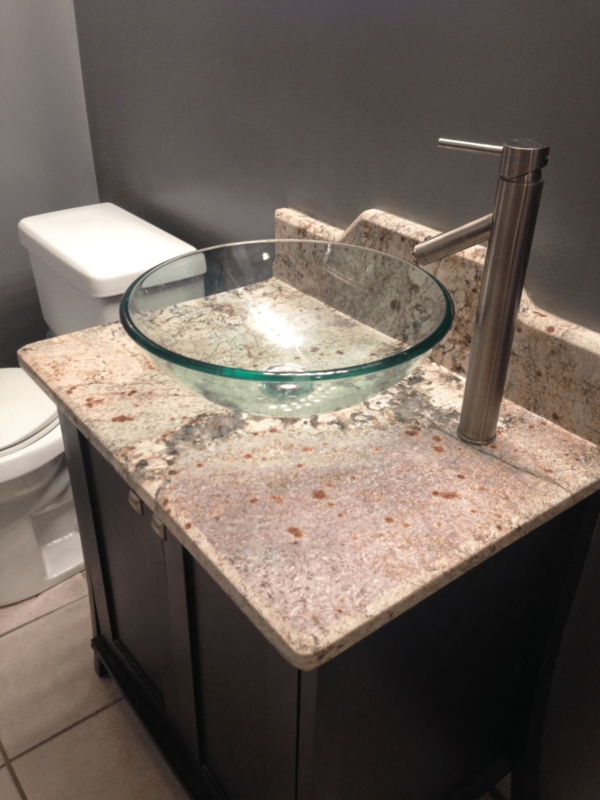 This is the most common option chosen when purchasing new natural stone countertops. 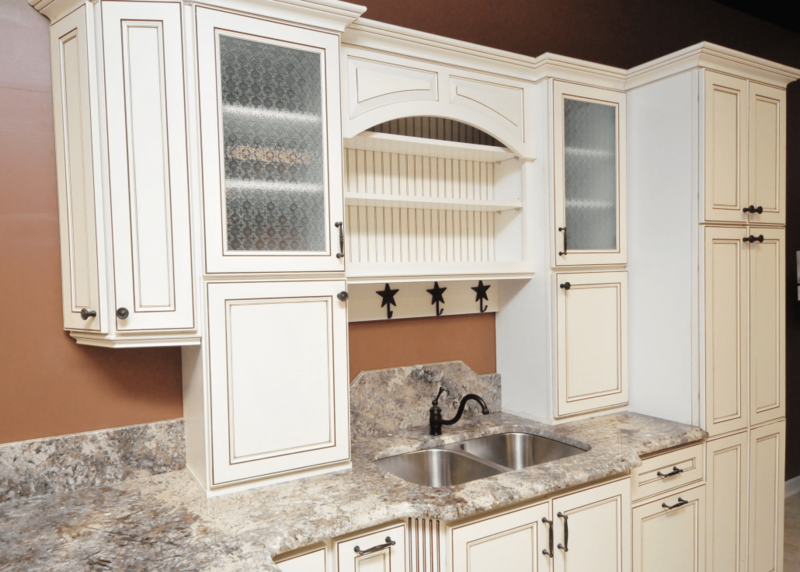 The name gives it away, this option is simply a 4″ run of granite backsplash where your countertops meet the wall. 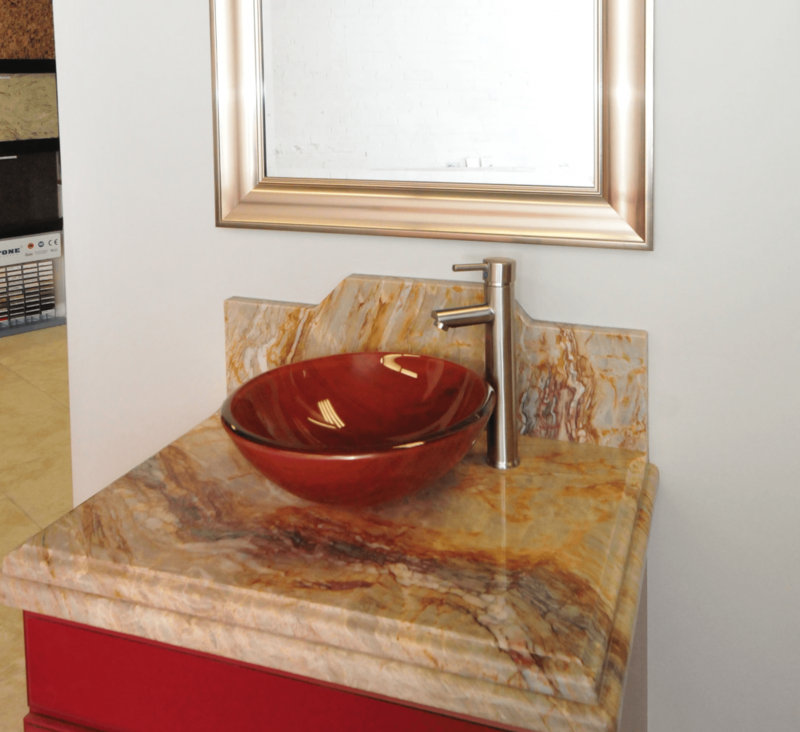 The 4″ backsplash is a popular option for bathroom vanities. 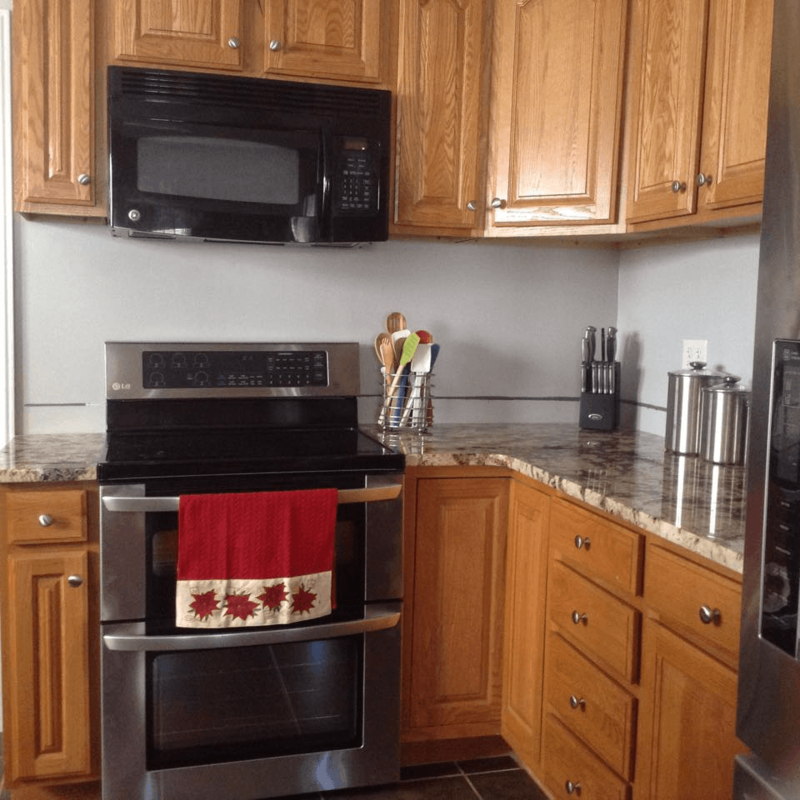 Some people prefer the look of tile and choose to go without a stone backsplash. 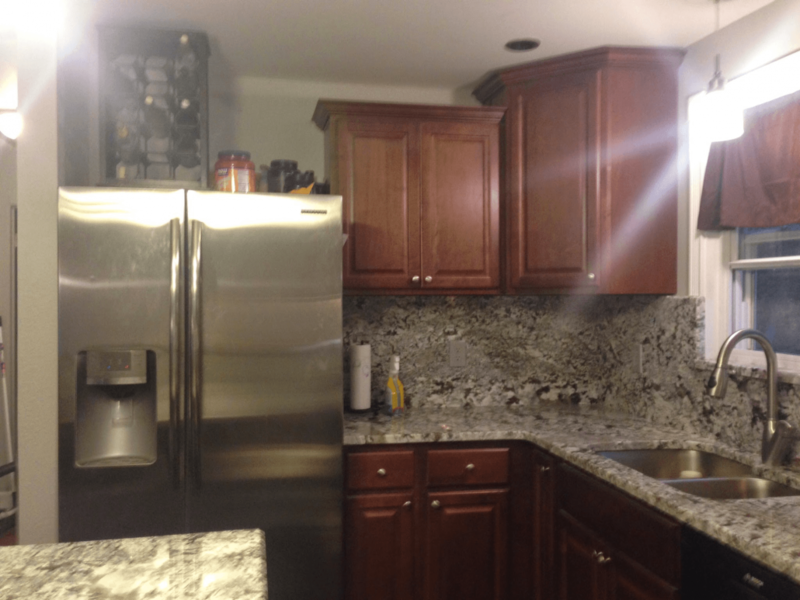 They typically install their own tile backsplash after their new countertops are installed and the end result is just as beautiful. Want to do something a little different? We can certainly help you out with that. 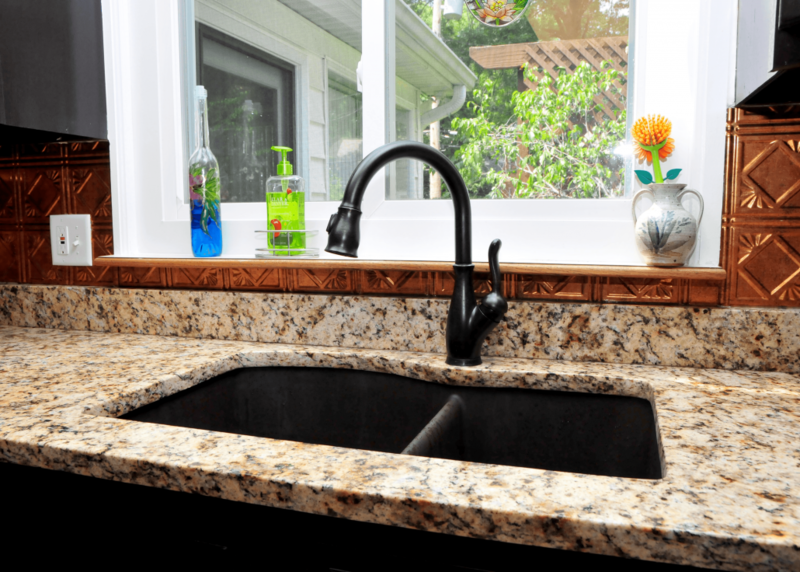 We can customize your Granite Backsplash to your liking. 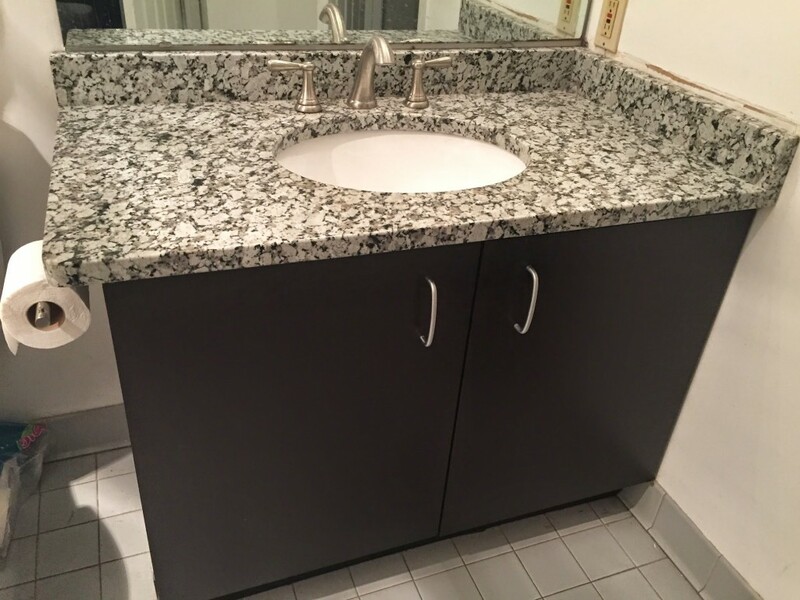 Here are a few pictures of custom Bathroom Vanity Backsplashes we have done. 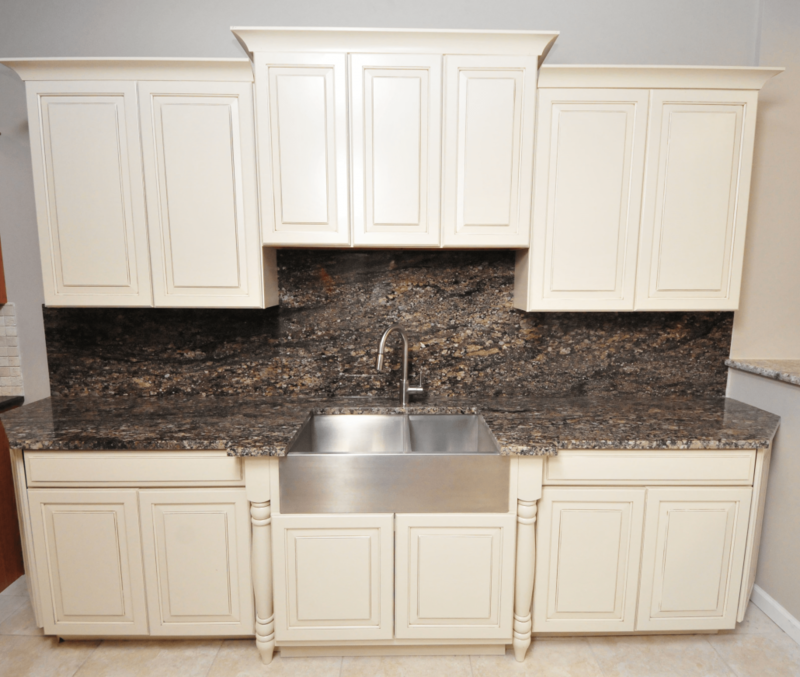 Give us a call today at 314-773-3800 to get started on your new countertop project. 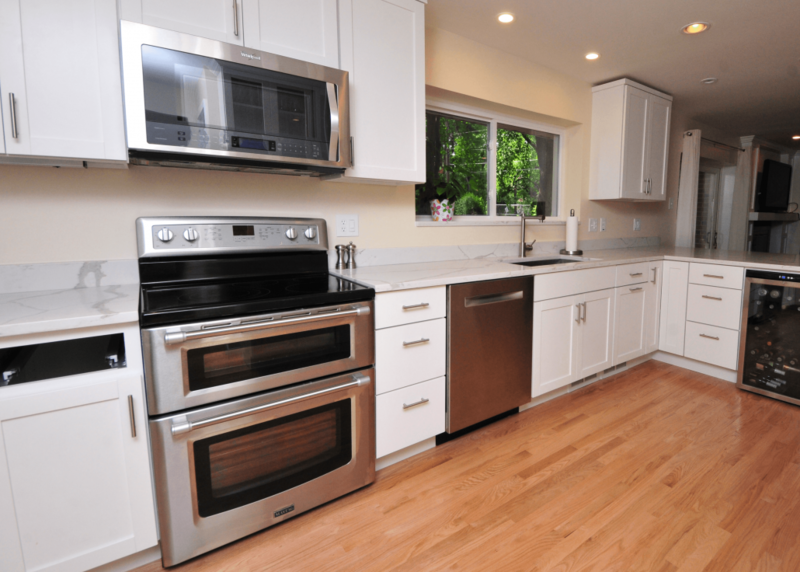 We GUARANTEE installation of your new countertops within 2 weeks from the time of your template.